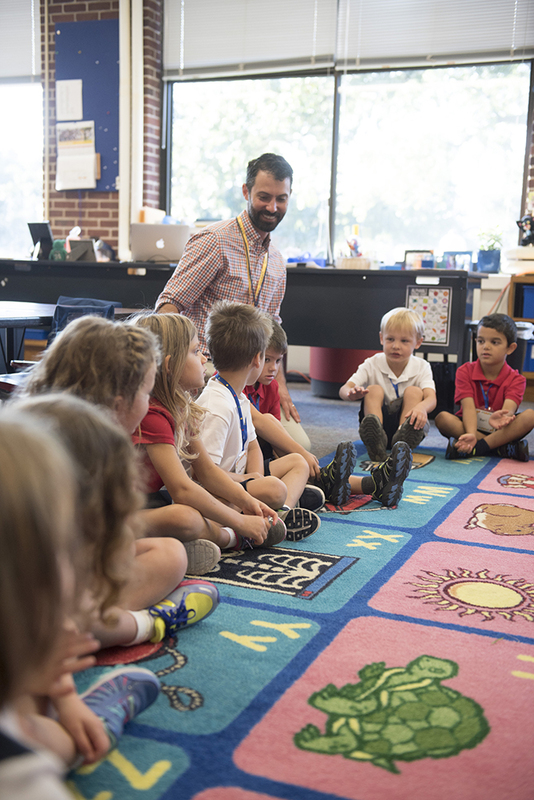 Below are questions often asked about academic life and the schedule in the Upper School. 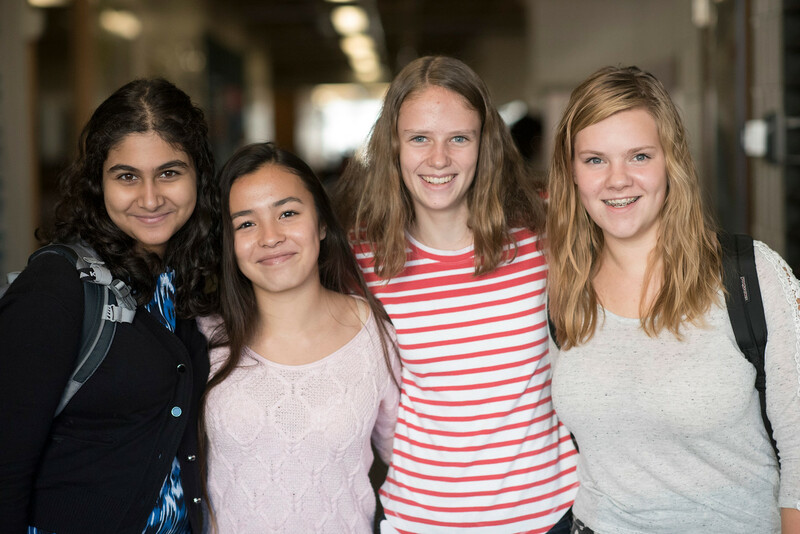 For detailed information about Upper School courses, explore our Academic Departments. 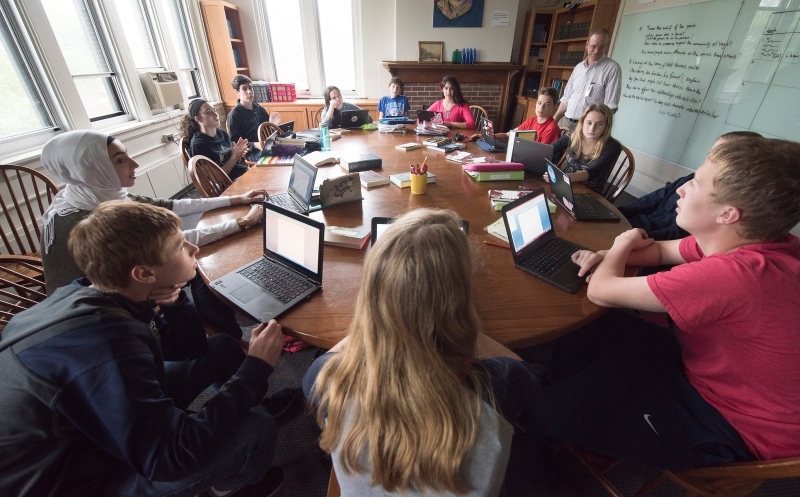 In Upper School the standard expectation is that for each course faculty may assign an average of 45 minutes of homework for each class meeting. Averages are based on a range; some students may take longer in some subjects or on particular assignments while others may find they complete the work in less time. Given the significant time students need to devote to homework, it is important for students to use their free time during school effectively. This is particularly important during seasons when a student has athletic or other commitments outside of school. 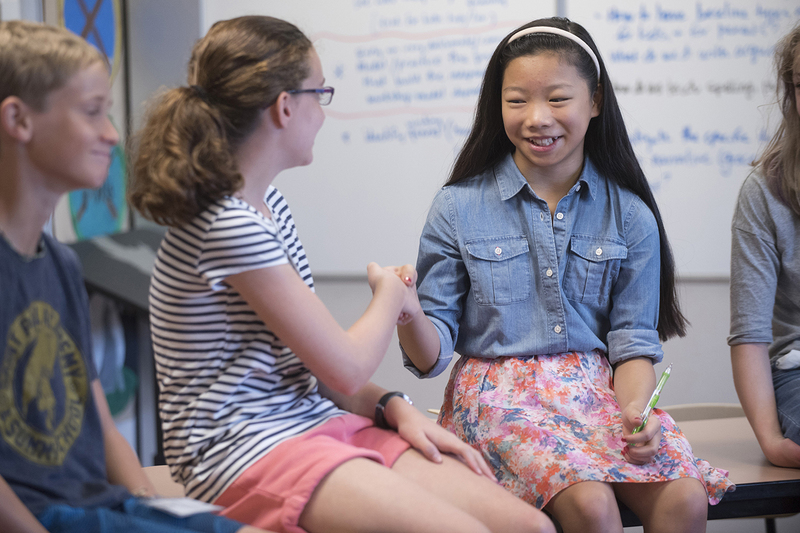 How are students graded in the Upper School? The academic year is divided into four quarters which comprise two semesters. Quarterly report cards with letter grades for each course are available through the parent portal. Quarter grades represent a benchmark indicating the student’s performance but do not appear on the official transcript. Written narrative comments from teachers are provided in mid-January. The transcript is the official document of a student’s performance in the Upper School. It includes semester grades, year-end grades and GPA, cumulative GPA, and AP exam scores of 4 or 5. The cumulative GPA is based on final course grades and is updated each semester. The highest grade awarded is an A. All grades are un-weighted. The school does not report rank in class. Does SPA offer Advanced Placement (AP) courses? SPA does not teach Advanced Placement courses that narrowly focus on the AP tests, although many SPA students take AP tests and are very successful when they do. SPA's academic program is an intellectually challenging liberal arts curriculum which, in many disciplines, goes well beyond the designated AP curriculum. Students who are successful in our curriculum are well-prepared to be successful on the AP exams, if they choose to take them. Some students take AP exams based on additional individual knowledge. The following courses provide strong support for corresponding AP Exams: junior/senior English electives; US History and World History II; Honors Science; Calculus (regular and honors); Advanced Probability and Statistics; fifth level World Language. Advising and resources from college counseling and department faculty help students prepare for AP and apply the skills and knowledge cultivated in our classes. In a typical year, about 75-100 students in grades 10–12 choose to take 130-150 AP exams across 15 different subjects. About 60% earn a score of 4 or 5; more than 90% earn a score of 3 or better. 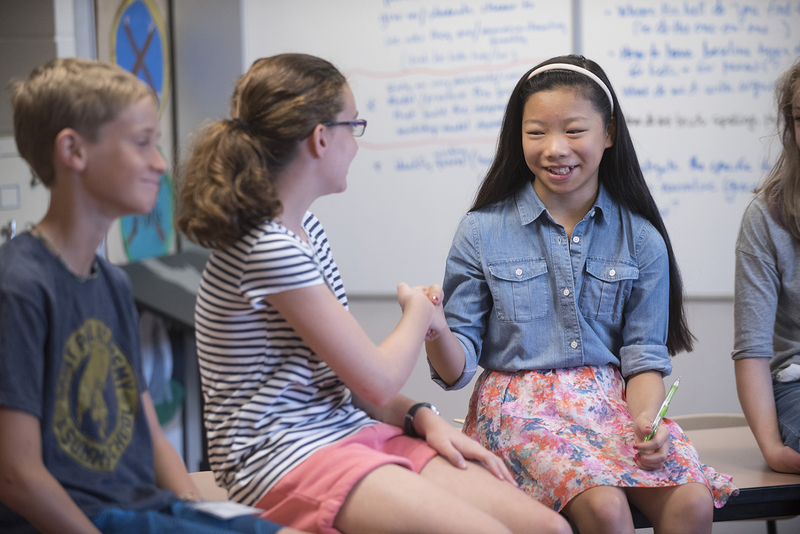 How does the Upper School schedule work? There are 8 distinct class periods, scheduled over the course of two days so each class meets every other school day. Students may schedule a maximum of 7 classes that meet during the traditional scheduled day (8:10 – 3:00). Lunch is a separate period. The unscheduled period can be used as study time, but may also be used for class meetings, special speakers, and programs such as college counseling. What is the Wednesday late start? On Wednesdays, students check in at 8:45 in their first class and meet with their advisor at 10:00. Students may come to school at their regular arrival time; they may also choose to stay home to catch up on sleep or on schoolwork. The morning time is often used for faculty meetings, so students should not expect to meet with a teacher prior to 8:30. How many courses and credits do students take in the Upper School? The minimum is 4.5 credits per academic year. Most students take 5 core academic courses (English, math, history, science, and language) and one or two electives. To build the strongest academic foundation for college admission, it is highly recommended that students go beyond the minimum requirements in core academic disciplines and in the Fine Arts. We encourage 9th graders to request at least one elective course, and expect all students to begin the fine arts requirement no later than 10th grade. By pursuing electives in grades 9 and 10 students can develop their talents and pursue advanced opportunities and leadership in these areas in grades 11 and 12. How are students placed in honors math and science courses? Honors courses are designed to challenge exceptional students. Placement is determined by department based on a variety of criteria including achievement, intuitive approach to the material, maturity, and independent motivation. Science placement is determined each year, so it is very possible for a student who excels in the regular course one year to move into the honors course the following year. In math, this kind of movement is possible but may require summer work to cover additional material. Can a student take two language courses at the same time? Students whose academic record indicates that they could successfully carry more than five core academic courses may start a second language. Indicate this request on your Course Request Form. We will approve this second language if space is available, giving priority on the basis of seniority. Can a student take two electives at the same time? Yes; after the 5 core academic courses there are 2 periods in the day that can be scheduled. Note that during one of those two periods, 9th graders must take Fitness for Life for one semester, and 10th graders must take Wellness for one quarter, but they can take an additional elective at the same time. In the semester when they are not in Fitness or Wellness class, 9th and 10th graders may request two electives. In their junior and senior years, some students have more flexibility in their schedules. Every day except Wednesday includes a 35-minute tutorial period when all faculty members are free and available for extra help; students can use the time to work with teachers, to do homework, to do assigned group work, and to work with peer tutors on campus. Students may have music sectionals during some of the tutorial times, but all students should be free for at least half of the tutorial times. Afternoon tutorial is a required part of the school day for everyone except seniors with off-campus senior privileges. Do students have to take music or art classes? Students must take 0 .75 credits of Fine Arts (music, studio art, theater, or graphic design) over the course of grades 9-12 in order to graduate. Most students take 3 semesters of music or studio art during their Upper School career. Many exceed this requirement. When do advisory groups meet and assemblies occur? Students check in with their advisor for ten minutes at 8:00 every day except Wednesday, when advisory meets for 45 minutes mid-morning. The daily “X period” (between the first and second period) accommodates the advisory program, all-school assemblies, grade-level meetings, student groups, and senior speeches. How do students use free periods? 9th graders are assigned to study halls while older students are free during this time to work quietly in the library, in the hallways, in classrooms, and with teachers. During study periods students learn to work ahead on their homework and to complete at least one of their subjects before they leave school. This can be a particularly effective use of time for students engaged in time-intensive athletics or drama after school. Students quickly learn that free periods are a good time to talk with teachers about any questions. When space in electives is limited, how do you decide which students can get into the course? Space in certain electives can be limited. For example, we only have space in the darkroom to accommodate a certain number of photography students. In most cases the decision is based on seniority. If space remains, we decide by lottery. It is always a good idea for students to indicate several choices for electives so that if their schedule can’t accommodate their first choice, we can give them another choice.